While surrogate broadcasting was effective during the Cold War, even then it faced some serious problems, which BBG [The Broadcasting Board of Governors, a controversial Federal agency in charge of US international broadcasts] members chose to ignore when they developed their grandiose broadcasting plans for the Middle East. They could have learned about these problems and how to avoid them from an exceptionally honest account by former RFE/RL manager James Critchlow. 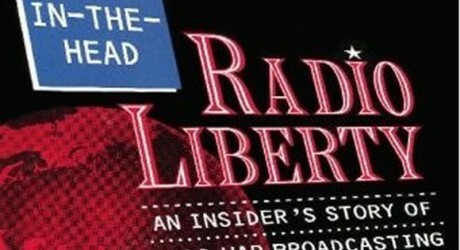 In his book, Radio Hole-in-the-Head: Radio Liberty: An Insider’s Story of Cold War Broadcasting, Critchlow describes some very serious policy and editorial errors committed by naive political operatives, incompetent bureaucrats, and uninformed journalists who had worked at RFE/RL between 1953 and the end of 1980s. At least during the Cold War, RFE/RL journalists were based in Munich, West Germany, and were relatively safe from intimidation by the KGB. Serious editorial problems were usually uncovered and corrected until the BBG took over. The BBG placed most of RFE/RL Russian Service reporters in Russia and kept them there even after former President Putin and the KGB’s successor agency, the FSB, nearly completely took control over the local broadcast media using force and intimidation. Unwilling to give up or significantly scale down RFE/RL’s large bureau in Moscow, BBG members and their staff, some of whom had business and personal links to Russia, began negotiating with members of the Putin regime while BBG-hired consultants told RFE/RL journalists to make their programs less critical of the political and social realities in Russia. Shortly after independent Russian journalist Anna Politkovskaya was murdered in Moscow in an execution-style hit in 2006, Radio Free Europe/Radio Liberty managers made public statements strongly suggesting an attempt on their part to appease Mr. Putin. In an apparent effort to protect their presence in the country, the head of RFE/RL Moscow bureau, Elena Glushkova, said in an on-air discussion in October 2006 that the work of Radio Liberty journalists cannot cause Russia any harm. She insisted that RFE/RL reporters respect and love Russia. She also pointed out that all Radio Liberty reporters who work in Russia are Russian citizens and said that her optimism despite the murder of Ms. Politkovskaya is based in her belief in “the common sense of the current Russian leadership.” Maria Klain, Russian Service director at the RFE/RL home office in Prague, also expressed confidence that the radio’s future in Russia looks good. These comments surprised and offended pro-democracy activists in Russia who were still in mourning after Anna Politovskaya’s murder. One would think that in light of such developments and statements by RFE/RL managers in Russia, the BBG would want Washington-based Voice of America journalists to expand their Russian broadcasts. The BBG’s policy, however, has been not only to dismantle the Voice of America radio services but to make sure that even the names of the privatized entities designed to replace them did not have any references to the U.S. in an naive belief that this would make them more credible with skeptical and hostile audiences. By placing much of the work and operations of these privatized entities in countries like Russia and in the Middle East and relying on locally-hired staff, the BBG created no safeguards to make sure that local reporters would not be blackmailed by foreign security and intelligence services. At the same time, the BBG denied locally-hired employees the protection of U.S. labor laws, damaging U.S. reputation in countries like the Czech Republic and drawing attention and criticism from local politicians, including the highly respected former Czech President Vaclav Havel. Link to FreeMediaOnline.org report Radio Free Europe or Radio Free Putin? Did BBG End U.S. Surrogate Broadcasting in Russia on Radio Liberty in an Attempt to Appease Mr. Putin and Pursue Its Marketing Strategy?